Syracuse, NY – A group of industry experts have been collecting thousands of pieces of data about Central New York over the past couple of years, and very few people knew about it. Now, a new round of community data has been published on www.cnyvitals.org, providing insights into the region’s arts & culture, recreation, civic engagement, demographics, economy, education, environment, housing, and more. 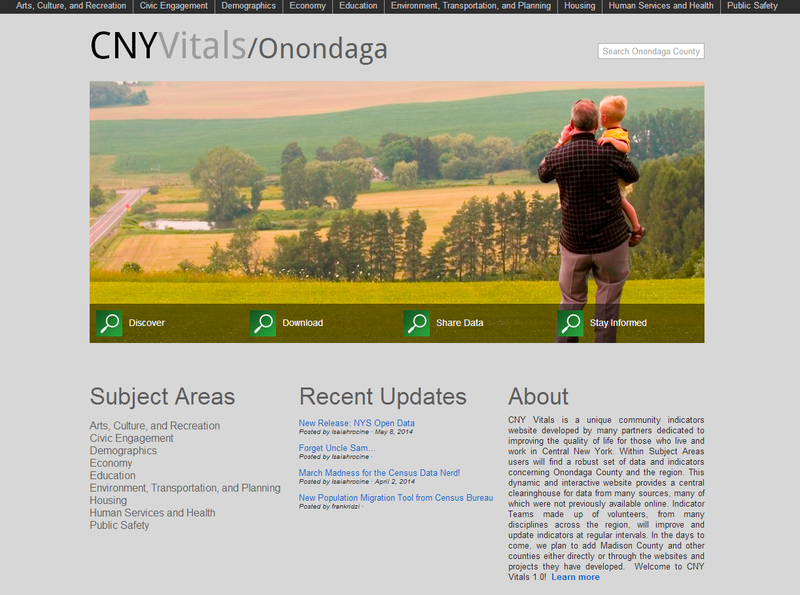 Supported by the Central New York Community Foundation, CNY Vitals is a community indicators initiative developed by many partners including all local colleges and key government and nonprofit leaders dedicated to improving the quality of life for those who live and work in Central New York. The effort is also managed in collaboration with F.O.C.U.S. Greater Syracuse and the Community Benchmarks Program at Syracuse University’s Maxwell School of Citizenship and Public Affairs. Industry experts in their respective fields have formed Indicator Teams to collect and discuss the data based on various disciplines. The average commute in Onondaga County is 20 minutes. In 2012, the average household in Onondaga County dedicated more resources towards reading as recreation than households in other major upstate communities. In 2011, Onondaga County had the lowest voter turnout in over a decade. As of 2011, Syracuse had more debt per capita than the larger cities of Rochester or Albany. And there are many more statistics available on www.CNYVitals.com. Public agencies, businesses, universities and colleges, institutes, government agencies, civic engagement groups, national think tanks, area foundations, community based organizations and concerned residents have all contributed to CNY Vitals. Some of the many sources of these data include the US Department of Labor, US Census Bureau, NYS Education Department, NYS Department of Health, several Onondaga County departments, Brookings Institute, Syracuse Convention & Visitors Bureau, Say Yes to Education, Onondaga County Literacy Coalition, and many more. The Indicator Teams will be working to analyze this data to determine how it can be put into context for our community. The Teams will also be working to continually update the data. Meanwhile, the Indicator Teams encourage community members to put this compilation to good use by visiting the site at cnyvitals.org and utilizing the data to inform program strategies, grant writing and allocation of resources to help improve Central New York. “It is our vision that community leaders will use the information available through CNY Vitals to construct informed plans and secure additional financial resources to address community needs,” said John Eberle, Vice President of Grantmaking & Community Initiatives at the Community Foundation. For more information, visit www.cnyvitals.org. 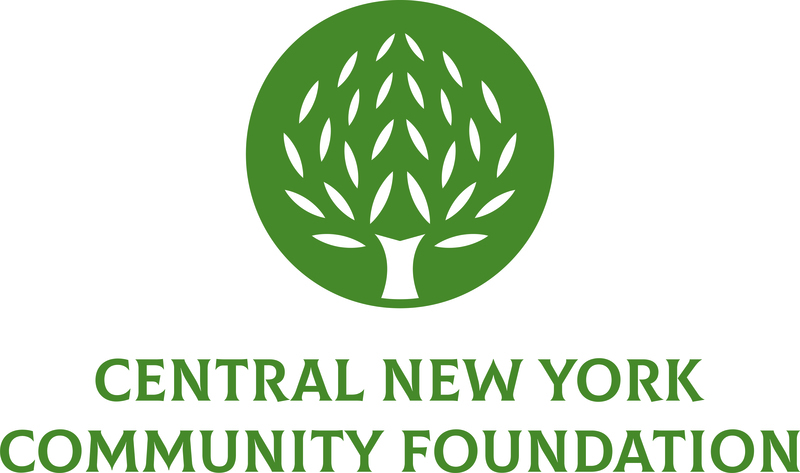 Established in 1927, the Central New York Community Foundation encourages local philanthropy by supporting the growth of a permanent charitable endowment for the betterment of the region. The Community Foundation is the largest charitable foundation in the region with assets of more than $143 million. It awarded $8.3 million in grants last year to nonprofit organizations and since its inception has invested more than $120 million in the community. The Community Foundation serves as the steward of charitable legacies for individuals, families and corporations through the administration of more than 600 funds. The organization also serves as a civic leader, convener and sponsor of special initiatives designed to strengthen nonprofits that address the region’s most pressing challenges.